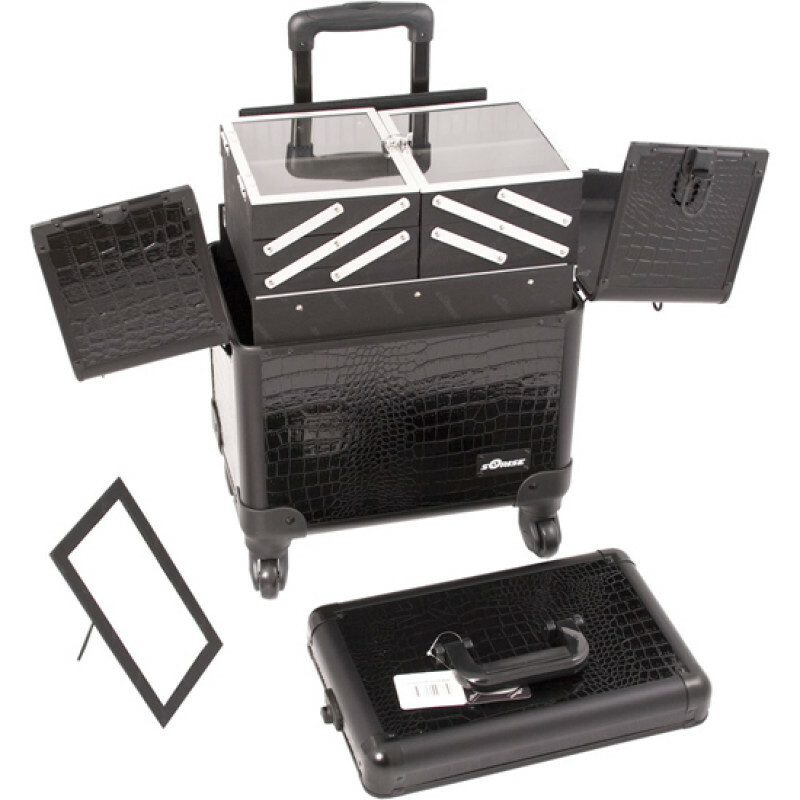 The E6304 Sunrise All Black Croc Pro Rolling Stylist Case with 4 Wheels includes a top lid mirror and plenty of makeup & cosmetics storage. 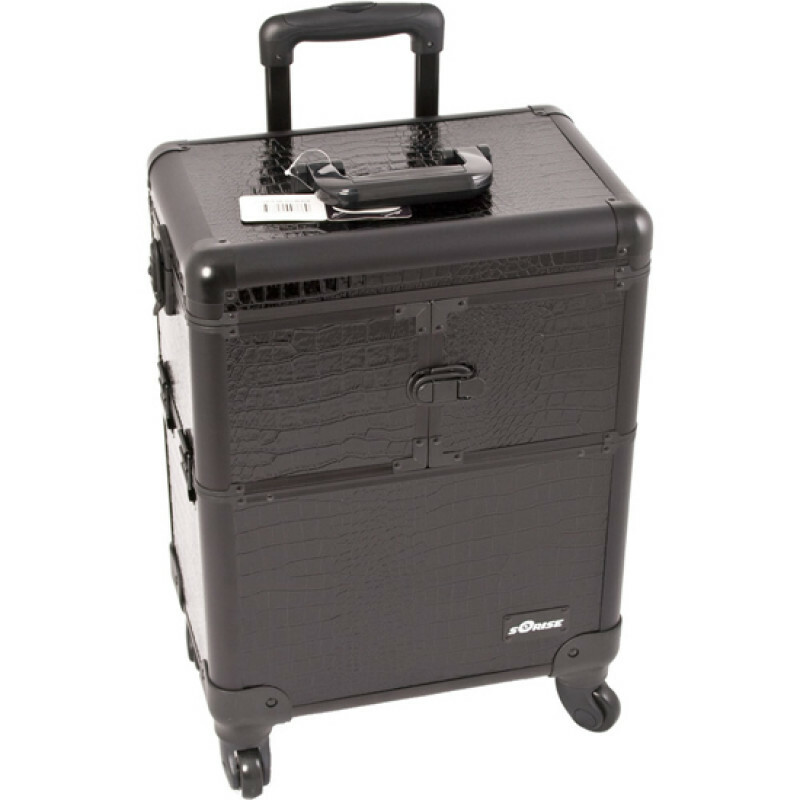 Heavy duty handle and 360 degree rolling wheel system makes this case easy to pull around. Lock and key set included for security. This case can be attached to any Sunrise E Series Top Case. 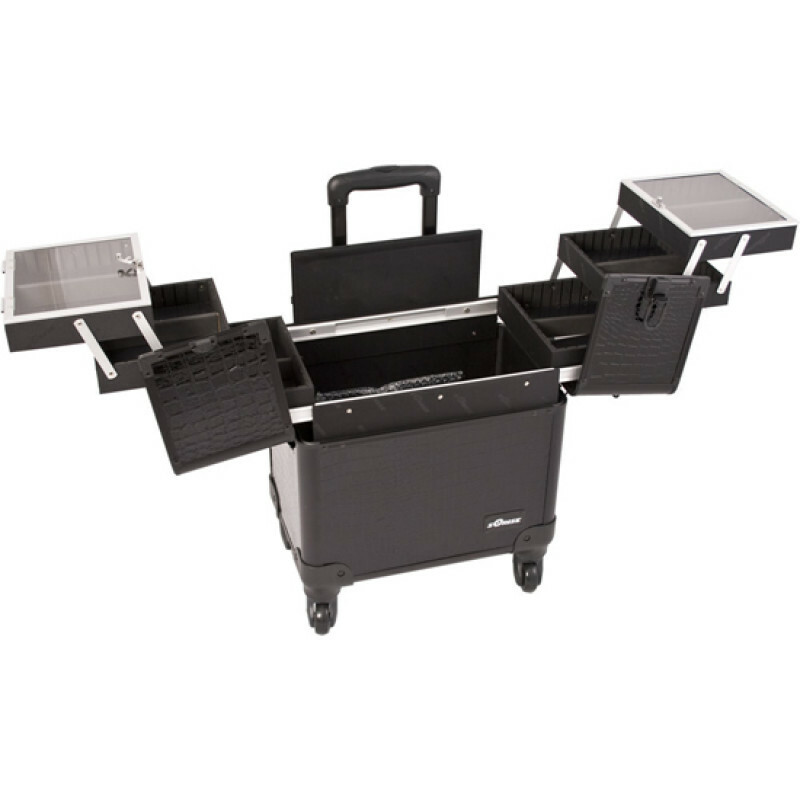 Total Case Dimensions (LxWxH): 14.5" x 9.5" x 21"
Bottom Hollow Space (LxWxH): 14" x 8.75" x 10"